How do I care for my dog's stitches? How long do dissolvable stitches last and what is the healing time? How do I keep stitches clean? What if my dog chews, licks, or scratches the stitches out? How long should my dog wear a cone? Is this normal? What if the stitches bleed, ooze, or have pus? Sometimes, you aren't even given the opportunity to talk to your vet after your dog’s surgery because the team has limited time and other patients to attend to. Let's review some of the most important aftercare instructions for dog spays, neuters, and surgical procedures. ALWAYS put an Elizabethan collar (e-collar) or cone on your dog when he/she is unsupervised after surgery. 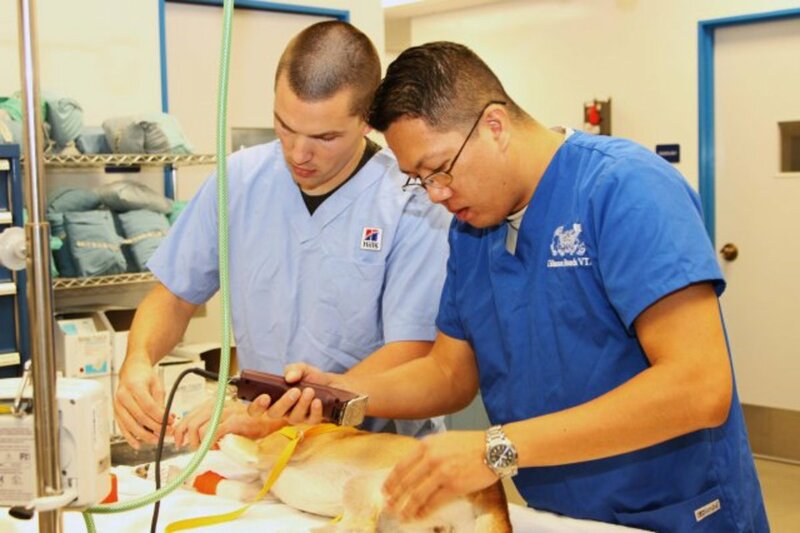 Schedule the surgery on a day your dog can be supervised. Set up a comfortable, quiet space for your dog to recover. Keep your dog away from other dogs and household activity. Leash walk for potty breaks and prevent jumping and running; no running or free play. No jumping up and down from furniture. Lift your dog up and down onto the couch or bed. Do not leave them unattended. Barricade staircases. Keep the wounds and stitches clean and dry (no bathing) unless otherwise instructed to do so. 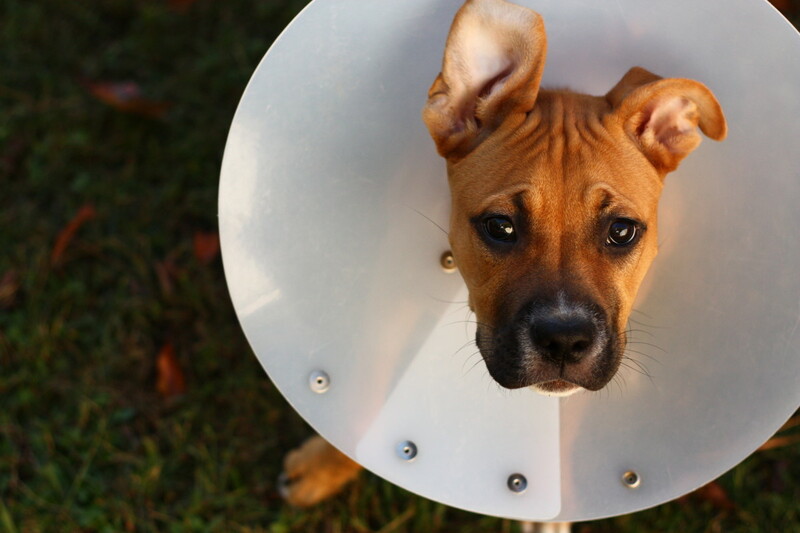 Keep a cone or e-collar on at all times to prevent chewing, scratching, or licking. Monitor the incision for signs of infection (heat, swelling, pus, oozing, discharge). Only cover the incision or apply ointments if your vet advises you to do so. 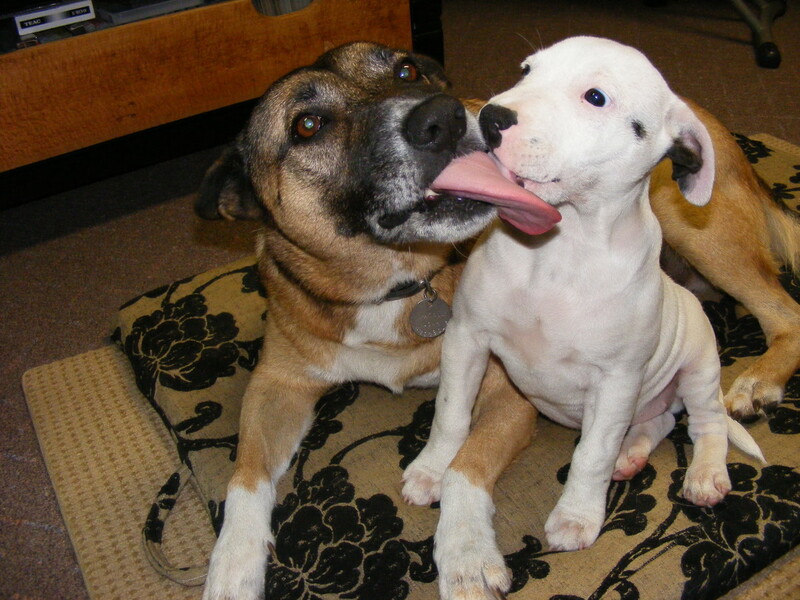 Monitor your dog for behavioral changes (lethargy, panting, discomfort). Keep your vet's contact and emergency numbers close by. Table is based on a typical spay or neuter procedure. What Is the Healing Time for Dog Stitches? According to Pet Education, within 7 to 10 days a dog's incision is capable of withstanding tension and stretching. 7-10 days is the average healing timeframe for a typical spay, but activity should be resumed gradually, and the site should be monitored until your next vet visit. Healing time depends on the surgical procedure, the suture material, suture absorption time, and your dog's health and age. Stitches generally last long enough to promote the healing of tissue. 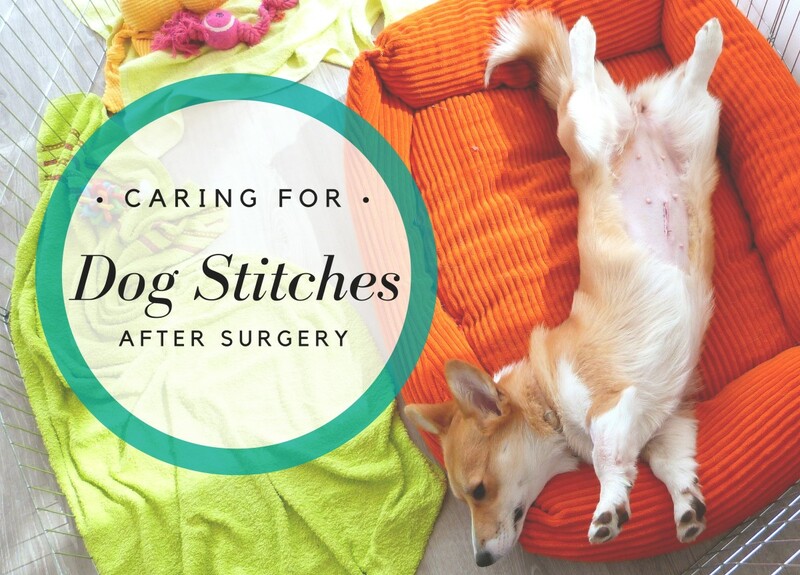 So, whether your dog received absorbable stitches, non-absorbable stitches, or staples, you will need to take good care of the area as it heals. The moment an injury takes place (surgery is classified as an injury), the immune system activates white blood cells which mobilize to the incision site. The skin will redden, bruise, and swell, but over time, scar tissue will form. Incisions heal side-to-side, so this means that a 4" incision will heal at the same rate as a 1" incision. You may feel compelled to give your dog a bath, but you may want to hold off if your dog has an incision that has to heal. This also means preventing your dog's incision from getting wet in the rain. Do not apply creams, ointments, or disinfectants unless your vet told you to do so. Alcohol and hydrogen peroxide use is prohibited as these chemicals will damage the tissue. You can wipe your dog's body down with natural baby wipes or dog-approved wipes to keep them fresh (do not wipe around the surgical site). Do not bathe your dog unless instructed to do so by your veterinarian. 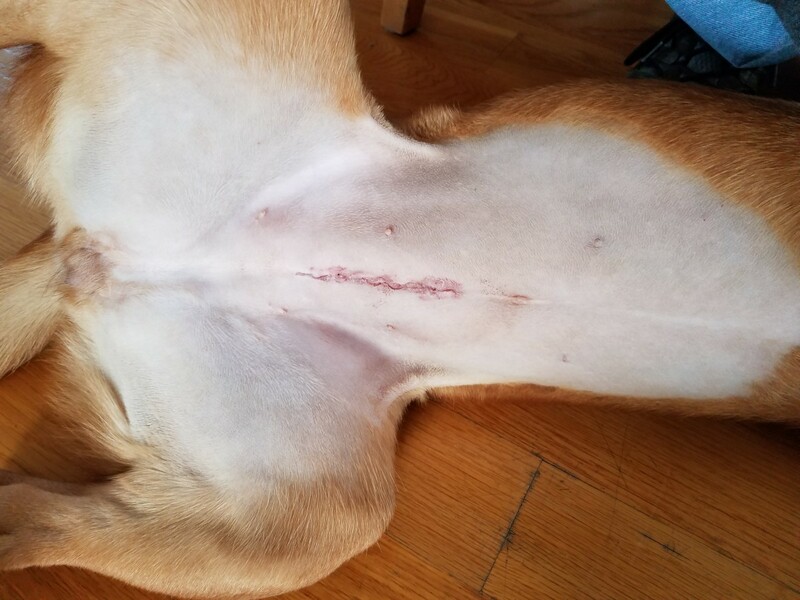 Why Is My Dog's Wound or Incision Not Healing? What Is a Suture Reaction? In some cases, a dog's body may reject stitches rather than absorb them, triggering inflammation or a suture reaction and a prolonged healing time. A suture reaction is an inflammatory response by the body to a "foreign substance." This reaction may present as localized inflammation. The body is reacting to the foreign substance by either trying to dissolve it, break it down, or push it out. You will often see draining tracts and/or heat and redness. 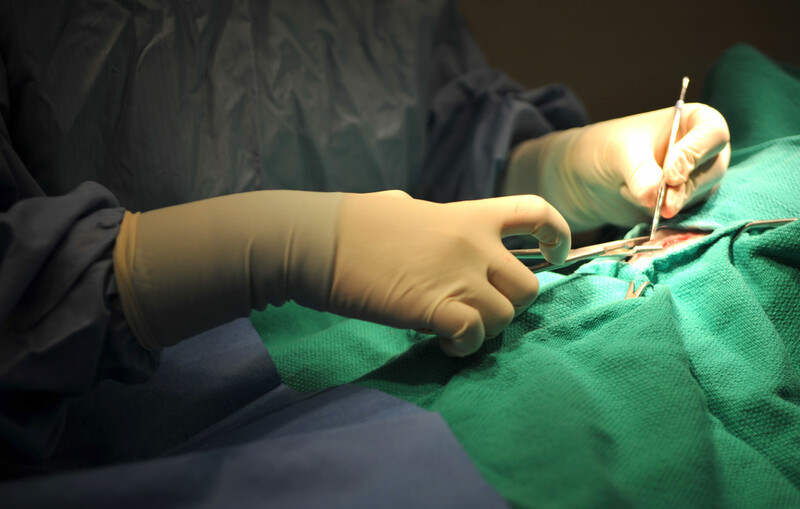 Abdominal surgeries are closed in layers, so several types of suture material might be used to close the incision. If the suture reaction is deep, your veterinarian may have to go in and replace the suture material with another type. If the suture reaction is superficial and easily accessible, it may be a simple matter of removing the sutures and using suture glue or surgical staples depending on the stage of healing. Dog Neuters: Many puppies that are neutered at 2 months of age will bounce back the next day, and healing will seem almost immediate as their incision site is small. You should still allow for a minimum of 7 days for healing. Neutering in adult male dogs is less invasive than a spay surgery, however, post-operative care should still be followed for 7 days minimum. Dog Spays: As for an adult female dog who is spayed, a minimum of 7 days is mandatory, as the procedure is more invasive, the surgical incision is larger, and healing time is prolonged. A dog's age and size is a huge factor in female dog spays. Large female dogs, older female dogs, and deep-chested dogs tend to have more difficult spays, require longer recovery times, and may be more sensitive post-operatively. 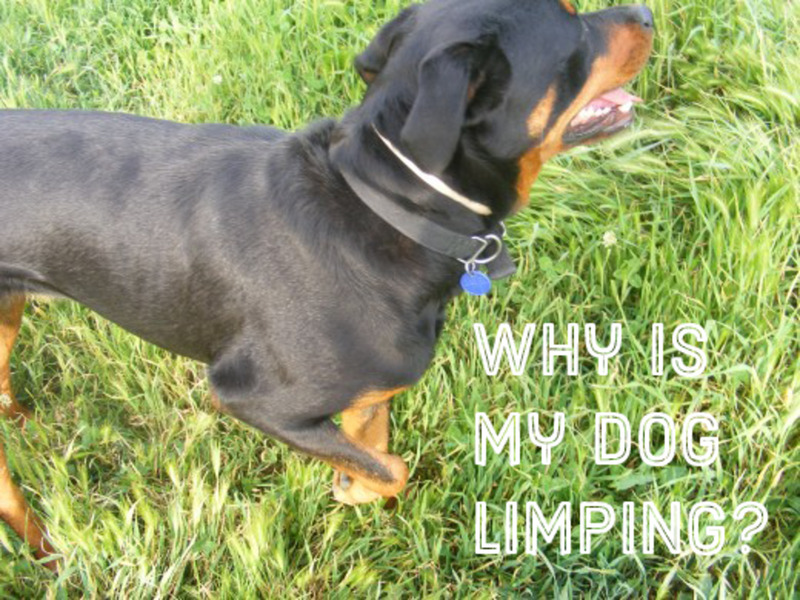 Orthopedic Surgery: Knee surgery in dogs, which is quite common, requires rehabilitation. Your dog's incision may start to improve at the one week mark but mobility must be limited, so this type of healing will be parsed out according to your veterinarian's designated rechecks. By two weeks, the wound should have closed, however, there will often be a 2-week recheck and a 6-week recheck. Immobilizing dogs who have undergone orthopedic surgery is a must as is keeping the surgical site clean. 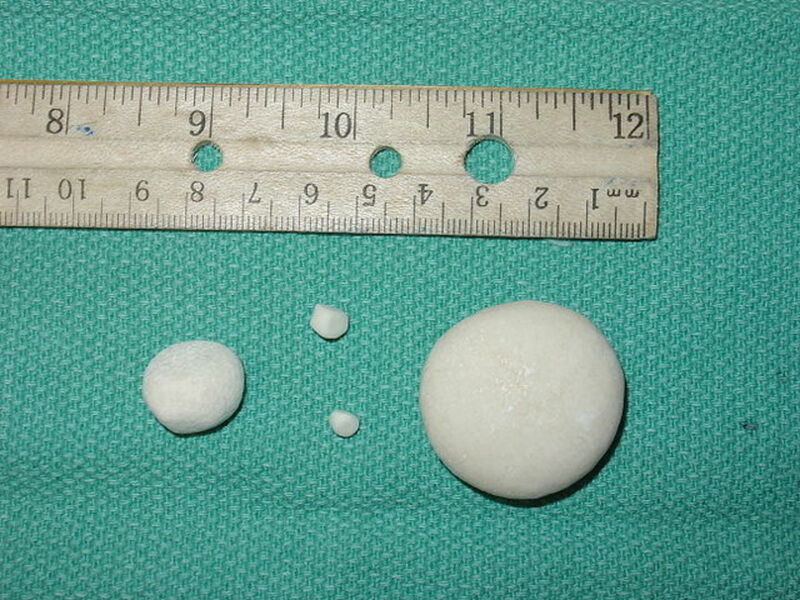 Bone plates can become infected and must then be removed in a second surgery. Mass Removals: When a large mass is removed, not much tissue may remain to close the incision. In this case, there may be lots of tension which can ultimately cause the incision to open up despite being stitched. To prevent this, your vet may use a special tension-relieving pattern to stitch up the area. Mass removal wounds should also be given a minimum of 7 days healing time. Emergency Surgeries: Emergency surgeries often involve a dog that is already compromised on a systemic level, and recovery can be much longer than one week. Each case will vary, so be sure to consult with your veterinarian for week-by-week instructions as some medical emergencies require extensive post-operative care. What Type of Stitches Does My Dog Have? There are different ways to close an incision in dogs. Just as you stitch pieces of cloth together, a dog's skin can be sutured with needle and thread. The thread is usually made of synthetic material, but non-synthetic suture exists for specific procedures. Stitches can be absorbable or non-absorbable. 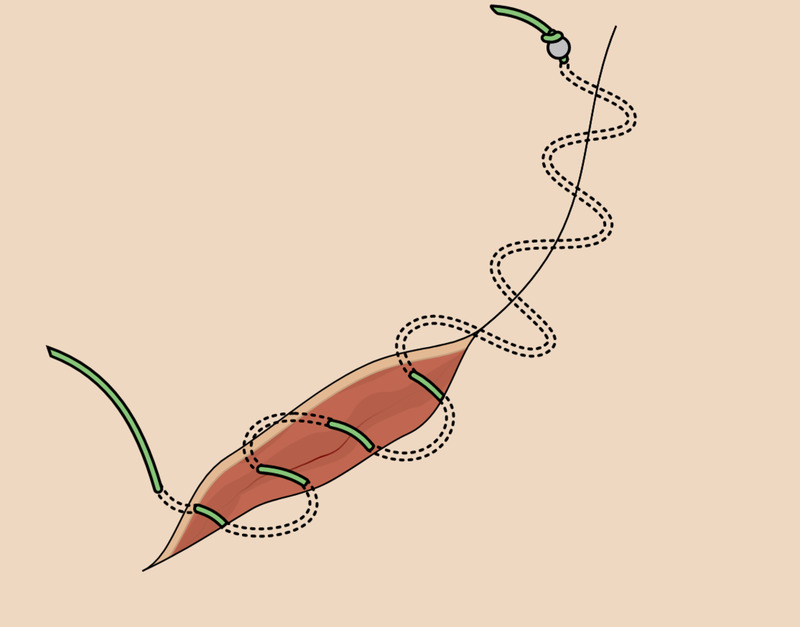 In the case of absorbable stitches, the dog's body will naturally break down and absorb the suture material over time. Depending on the type of incision, the stitches may be used to close just skin or several layers of tissue. For instance, in a simple laceration involving just a superficial skin tear, the edges of the skin are stitched together. In the case of a major surgery, the vet may need to stitch up muscles, the subcutaneous layer made of fat and connective tissue, and then finally skin, meaning there will be several rows of sutures in a single incision site. Muscle and subcutaneous layers and organs, like the intestine. Soft tissue (bladders). Not used for tendons or ligaments. Does not need to be removed unless suture reaction occurs. Good for cardiovascular repair. Not for gastric or bladder surgery. Excellent for skin closure, ligaments, and tendons. Needs to be removed by veterinary clinic generally 10 to 14 days after procedure. Faster than suturing. Closes incisions of the skin, clamps vessels internally, sternum closure in open chest surgery. Generally removed 10 to 14 days later (if accessible) using a specialized staple remover. Allows wounds to heal more cosmetically. Acts as an additional wound barrier. Falls off naturally on average within 7-10 days; keep dry. How Long Do Dissolvable Stitches Last? "Synthetic absorbable sutures loose most of their tensile strength within 60 days and eventually disappear from the tissues because they have been hydrolyzed." What does this mean? Most absorbable sutures require 60 days to be completely absorbed by the body (hydrolyzed). Not to fear, absorbable stitches lose (dissolve) between 50% of their strength by 7-10 days, meaning the body is well on its way to healing. 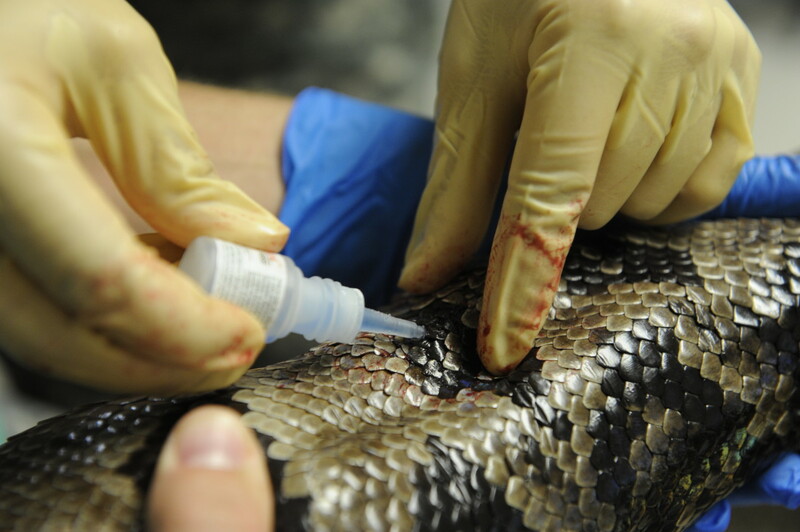 In some cases, your vet may use surgical adhesives to close the wound. Suture glue cannot be used near the eyes and is not suitable for oozing or contaminated wounds. Also, incisions closed with adhesives are more prone to opening up if they get wet. Adhesives are used to close very small incisions or act as secondary reinforcement for a top suture layer. Surgical glue is gradually removed by the body within 10 days on average. supervision and commands such as "leave it"
Dog saliva is not antibacterial and dogs should not be allowed to lick at their incision site. Can I Cover My Dog's Stitches? Depending on the location and type of incision, you can ask your vet about using a bandage to keep your dog from licking the area. If the incision is near the abdomen or shoulder area, you can try to discourage licking by putting a t-shirt on your dog. Simply put your dog's head and front legs through the head and armholes of the shirt. If the problem area is the foot, you can ask your vet about placing a sock on the area. 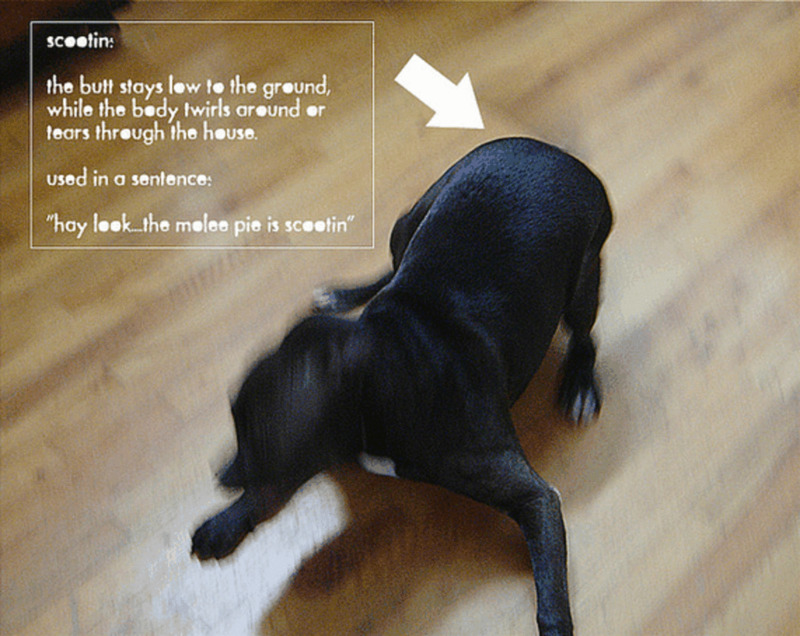 Of course, avoid doing so if you own a dog who would eat the sock or shirt and be at risk of an intestinal obstruction! As the wound heals and the fur starts growing back, the area starts to get itchy. The Elizabethan collar may not be helpful in this case, as it prevents licking, but won't do much for scratching. Monitor your dog closely for scratching, and if possible, find a way to discourage scratching by using a command such as "leave it." Crating your dog when you are not around may be helpful if it's snug enough to discourage scratching. 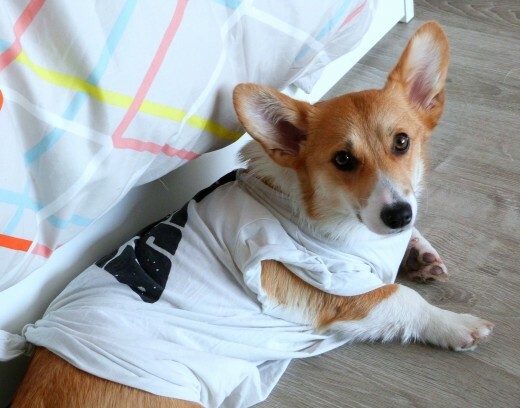 Depending on where the incision is, letting your dog wear a t-shirt may also help to discourage scratching. This can be good for incisions on the abdomen and shoulders; check with your vet, as some procedures require the wound to air. Remember that dogs are capable of scratching their front legs with their back legs, so if your dog has an incision behind the front legs, he/she may cause significant damage by scratching! 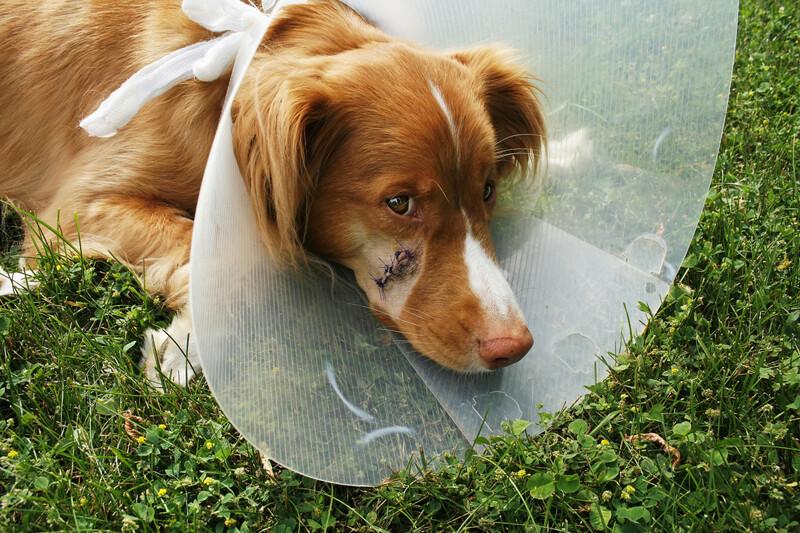 How Long Should a Dog Wear a Cone After Stitches? 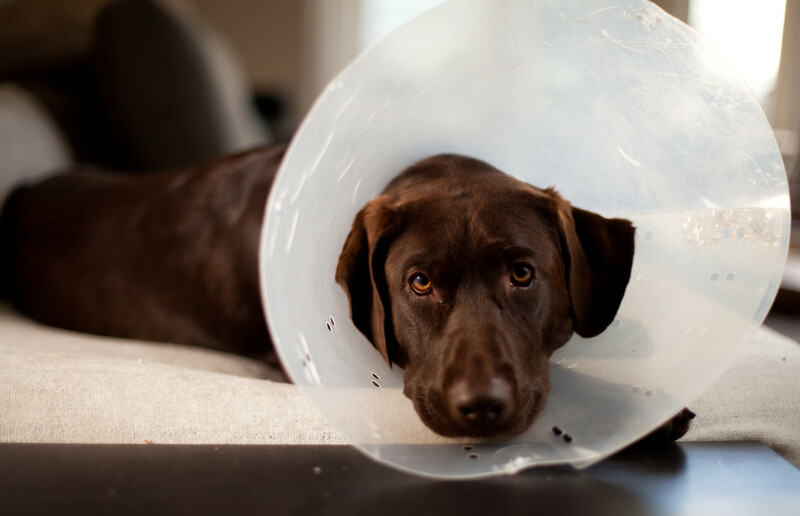 Keep your dog's cone on for as long as your veterinarian has recommended activity restriction—generally 7-14 days. Neck collars for well-behaved dogs may be more appropriate, as are inflatable donut collars for small, mellow dogs that can be closely monitored. Just know that no collar or cone is foolproof, and dogs can get around the tip of cones with their tongue. Some dogs may react terribly to cones. It is okay to remove a cone while your dog eats if they are struggling to do so, but only if you are monitoring them 100% of the time. You may prefer to hand feed them or elevate their bowl. Always take your dog out for potty breaks on a leash. Discourage running around and jumping especially during the first days. Jumping up and down in the house or on furniture may cause swelling and pain. Barricade stairs or carry your dog up and down depending on necessity. Avoid long walks and rough-housing with other dogs. Your vet may recommend cage rest or keeping your dog in a small room. Tranquilizers or sedatives may be prescribed for particularly hyper dogs. Signs of an Infection: If you see active bleeding, oozing, and bright green pus or odorous discharge, take your dog to the veterinarian right away. 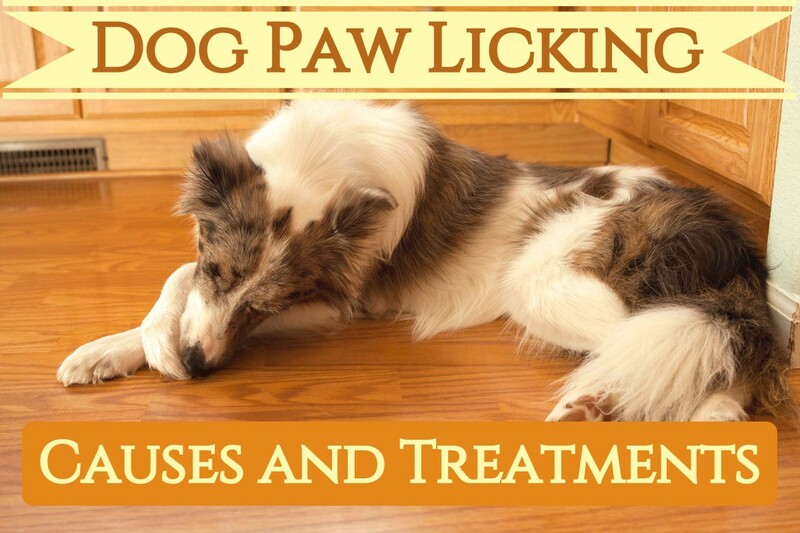 Behavioral changes, fever, panting, and loss of appetite, are all indications that your dog may be harboring an infection and should be seen ASAP. Open Wounds: The most serious complication of an incision is protruding tissue. Stitches are meant to keep the dog's underlying tissues in place, and when the stitches come out, there's the risk that the protruding tissues will trigger a serious and even potentially fatal infection. Alcohol and hydrogen peroxide should not be used on incision sites and stitches as these chemicals will cause cellular damage and slow healing. What indicates a post-operative medical emergency? Do your best to keep the area as clean and dry as possible. It's good practice to observe the incision at least twice a day; consider taking pictures of the site in the same light as a reference. Know how many stitches or staples your dog has so you can keep track of them. Reddish/pink color that intensifies during the first days as the area heals. Some bruising along the edges in pale dogs as the area heals. Clear, blood-tinged discharge in small amounts (first 24/72 hours). A small amount of clear or blood-tinged discharge can be seen seeping intermittently in the first 24/72 hours. According to Assisi Animal Health, it's normal for a little blood mixed with plasma (a clear, yellowish fluid) to leak from the wound site. Normally, the discharge should have a light yellow tint (serous) or a pink tint (serosanguineous) and it shouldn't have any odor. This can be observed by gently blotting the incision site with clean gauze or a clean paper towel. 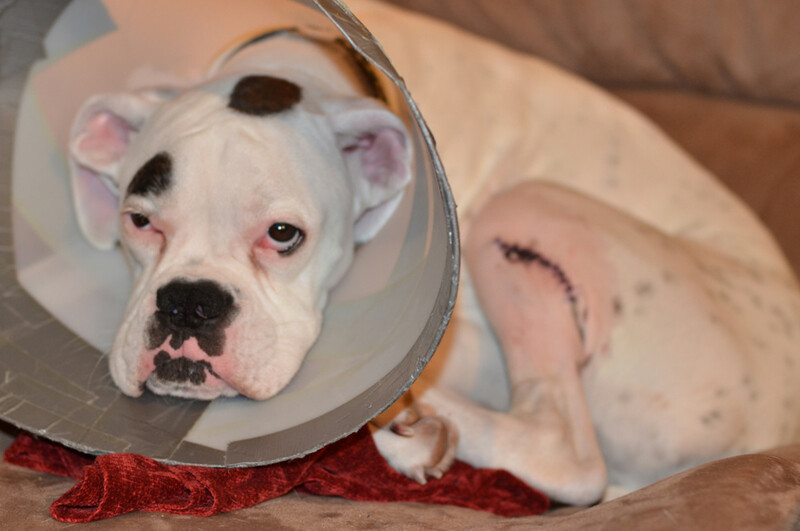 Why Did My Dog Get a Seroma After Surgery? 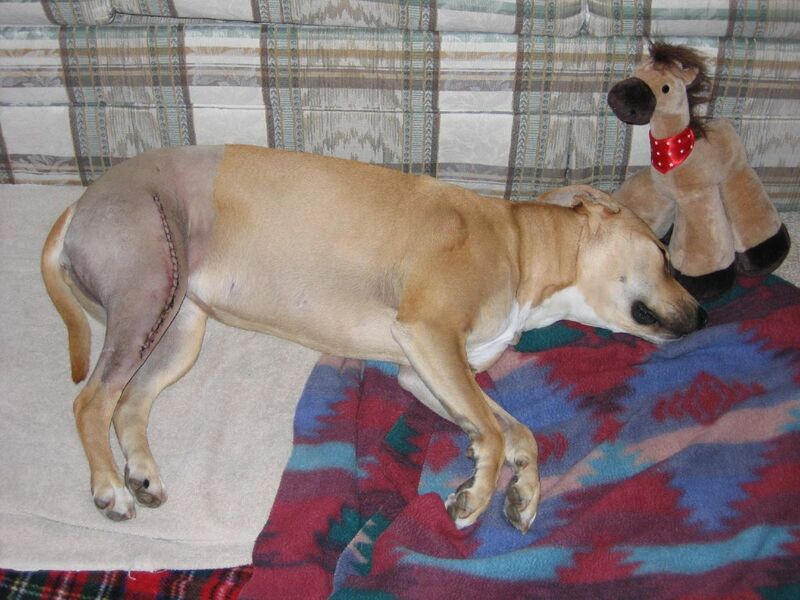 At times, dogs may develop a seroma at the incision site. When small blood vessels are ruptured, a seroma (an accumulation of plasma) will form as a pocket of extra space around the surgical site. The majority of these non-painful growths reabsorb on their own with time and the swelling will decrease. This collection of serum may occur because of excess "dead space," and the inflammation is often seen in animals that were too active during the recovery process or who licked and chewed the incision site. Hot or warm compresses (avoid moisture on the surgical site by using a plastic bag or similar barrier) may be helpful as these will encourage blood flow, allowing the body to reabsorb the extra fluid faster. Always test the compress on your skin first to avoid thermal or cold burns. What can I put on my dog's stitches to limit itching or scratching? You can put an Elizabethan collar or a pair of boxers or pants or a shirt on your dog depending on where the stitches are. Close monitoring is still needed, though, as your dog can still reach the stitches if he really wants to. Do dogs have to be put back to sleep to remove stitches? Unless your dog has stitches of the dissolvable type, you will have to see your vet remove your dog's stitches. Usually, all your dog needs is gentle restraint while your vet removes them using a special tool, but if your dog is particularly fractious, the vet may administer a sedative. My dog got neutered three days ago. The vet used absorbable stitches; we noticed today the stitches were gone. How fast do they absorb? He has been licking at the spot, but not obsessively. We stop him every time we catch him. How fast would they disappear, or should we go ahead and take him back to the vet? Usually, absorbable stitches are dissolved by the time the area is healed which is within 10-14 days. I would, therefore, expect it to be too early for them to dissolve. If there is any gaping of the wound's edges and the area look red, swollen or infected, then that would warrant a vet visit. An emergency visit is warranted if there is bleeding/wide gaps or if the dog starts acting ill and lethargic. If there are no gaps, there are chances that the vet has placed some buried sutures that hold things together. It would be best though to contact a vet just to be safe. Being a weekend and a festivity, your clinic should have arrangements for after-hours emergencies. If you call your regular clinic most likely, the answering service will inform you about some emergency clinic open nearby. You can then contact the ER clinic and see what they think. Chances are, if there are no major gaps or signs of bleeding, they may suggest covering the area temporarily with some non-stick bandage and checking the area a couple of times a day. An Elizabethan collar may be needed to protect the area from further licking. Best wishes. Why do I do when it looks like a tiny bit of discharge or blood is around her stitches? My Jack russel was neutered 3 days ago and was healing very well. Today he jumped up on the couch, i ran over to him and the incision looks like it slightly opened but not severely and has a wetness kind of a look to it now. Im very worried and cant speak to vet until monday. What should i do? He also was vomiting after his last pain pill today a white foam. Is this because of the incision? My dog had surgery to have a tumor removed a few weeks ago. I followed all of the dircetions given by the vet. At one point there was a pinch of skin between 2 stitches and it came off. Now theres a small hole, maybe 5mm. It's not infected or oozing at all, but I'm concerned that the opening could get infected. He's terrified of the e collar and he's also aggressive with the vet so I'm trying to avoid taking him. What should I do? Ouch, sounds like the edges of the cones are irritating the eyes, I would be worried about a corneal ulcer. I would take them to the vet to play it safe. Whether or not you can leave them without the cone depends on how well you can supervise them to prevent them from bothering the area. As the scab forms sometimes it gets itchy. You may have to use a soft cone perhaps, like a comfy cone or have the vet get a better sized cone that won't touch the eyes. Hi i just got my two dogs neutered about a week ago and there's a scab on the incision. the only issue is that both my dogs now have eye infections from rubbing their eyes on the cones. would it be too early to take their cones off and let their eyes heal? Samanthi, this is really odd that your dog is crying. I would follow up with your vet. my dog was operated and the stiches were removed after 18 days. I noticed that some stiches are missing and i am 100% sure that notthing happened to the stiches. I assume some of the stiches have gone inside his skin. Now my dog is crying from time to time. Is this because the stiches have gone inside? Maria, so sorry to hear that. What happened exactly? My 10 Year old GSD died the next day after stitches. . .
My dog had a couple tumors on his lower abdomen, removed 3 days ago. Every now and again, he has a fit like a bucking Broncos. I'm thinking it's an itch. Anyone else dealt with this on how to ease his trauma? my dog was attacked by another dog, he had stitches, skin died and had a second surgery with many stitches in a Y shape on his rear end, now they opened and not enough healthy skin to restitch. Vet is letting would heal without stitches. These are not little wounds, they are infected and he is on antibiotics and pain meds for who knows how long.... will he survive? Doesn't sound normal, could he have got injured jumping in and out of the car? Redd, stitches may pop when dogs are overly active in the first few days after surgery, so the vet may charge you based on that. Our dog was fixed 14 days ago , stitches were removed tday !! He is acting weird shaking and yelping when he is held or starts to walk ! Is this normal ? This is a wonderful article. Everything was explained so well that I was left with zero questions. I've paid for surgery now a stitch popped the vet wants to charge me another $100 to fix is this all on me or does the vet have to fix there mess up? You would need to keep her exercised and mentally stimulated (interactive toys, stuffed Kong, training, walks) to keep her distracted so that she'll be more likely to rest during the day and you can put the E-collar. on or supervise her. Consult with your vet for the bleeding. My female dog just had her right eye removed recently few days ago and she tend to be very active dog and she like to scratch her stitches but still wear E-COLLAR til her stitches removes on October 18th..she still has blood draining all over her right side ..so how to stop her scratching and blood draining?? Hannah, would get that checked out by the vet to be safe. Sounds good, what did the vets say when he got the stitches out? My dog got hit by a car 4 months ago and the vet said her stitches will desolve but never did. I pulled them through her already healed wound and it is very red and puffy. When I squeeze it yellow puss comes out. How do I clean the infection out of it is already healed? Yes this article was helpful. I used to clean dried blood from stitches with hydrogen peroxide and now it is NOT recommended. We have a small Maltichon mix, 14 lbs, and wears an 18 month baby's onsie. (We usually put a bladder leakage pad in it and have it on her for when guests are coming over. She has a nervous bladder, a subservient trait of some small dogs.) Recently she had 3 sebaceous cysts removed from her back, leaving huge incisions with many stitches. The onside has worked great to keep the wounds clean and dry. No cone of shame needed after we added her Thunder Shirt that securely covered her back and kept her warm. She hasn't been able to reach her wounds to scratch or chew on them. The wounds are healing well and she is calm. Happy to hear this article about stitches aftercare in dogs was helpful to you. Very helpful article. answered all my concerns about absorbable suture care. Our dog (Molly, a 12 year old Dachshund) just had minor surgery a couple of weeks ago. We're thinking of removing the stitches ourselves this time! We've had both the dissolving and removable types of stitches used. And it is tough to keep them from licking, scratching and pulling 'em out. The cone collars can help, but they don't like those too much either. Tough as it is, this is a constant monitoring situation for the days of healing. Thanks for the tips!